Real Estate Directory now has a blog!! Real Estate Directory has been serving Southeastern Minnesota for more than 35 years. Things have changed a lot of that time and things are continuing to change, especially in how we share our information. Who knew just a few years ago, that we would be able to share so much information with people in Southeastern Minnesota and throughout the world. Here we will post even more information about real estate news, what is going on in our office, new listings (both sales and rentals), and much more. We don’t know exactly what this blog journey will entail, but we are excited for the journey and to share even more with you about real estate. Stay tuned to our blog for more information from Real Estate Directory. About a year ago, I started a special post each Wednesday entitled “Which One Wednesday?” on our company Facebook page. Every Wednesday, I would put up a collage of various items related to real estate and housing. I would ask people to share their opinions/comments on which one they like best. 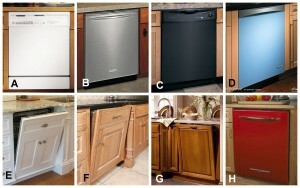 Some of the various ones I did were between different paint colors, cabinet finishes, cabinet hardware, backsplashes (see below), and appliance colors (dishwasher choices shown below). It was a fun activity to get input from some of our Facebook followers. The choices aren’t impacting anything (but it would be kind of neat to design a whole house just based on their comments), but it was kind of interesting to see which choices more people liked. Well, it has been a while since I did a “Which One Wednesday” post on Facebook, so with the start of this blog, I’ve decided to start doing “Which One Wednesday” again. But know, I’m going to be doing it on here (and then sharing it with our Facebook followers). Not sure if I’ll have time to do a post every Wednesday, but I am going to try. When deciding what to have the “theme” be each week, I try to think about something they might fit in with the time of year/season/holidays. 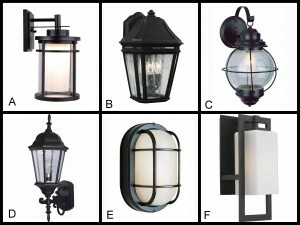 This week, since summer is in full swing, and people are thinking of the outdoors, I decided to go with outdoor sconces. 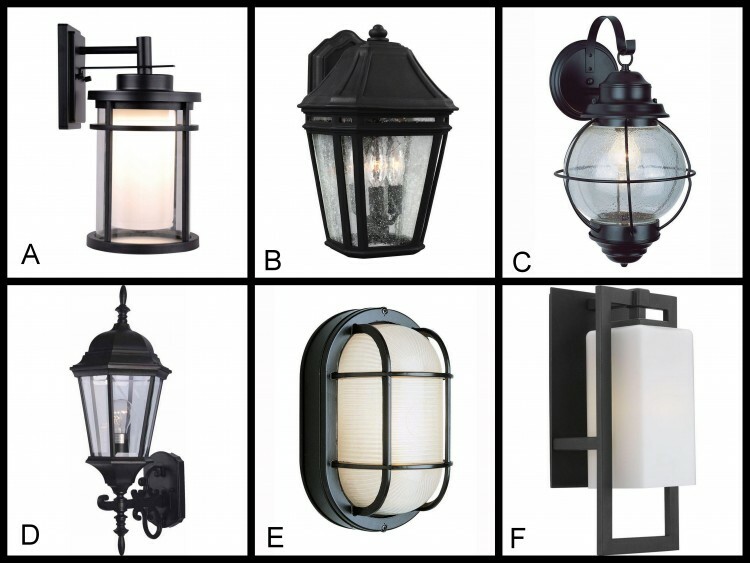 Which sconces would you like best to be attached to your house next to the front door? Let us know by leaving a comment below! Come back next week for another “Which One Wednesday?”! Tabitha (administrative professional/rental specialist at RED).